Seven years ago, as a medical student in my first year of family residency on my emergency medicine rotation, I repeatedly experienced what I can only describe as the feeling that I was losing my mind. While in the emergency room, my heart would pound, and my fingers, toes, and lips would get numb and tingly. I would feel like I couldn’t get oxygen, like I was about to pass out. All the while I pretended that everything was fine, and continued seeing emergency room patients and reporting to my attending physicians. But I was doing a bad job. I couldn’t think straight or make decisions about how to diagnose and treat patients. I began to worry this would be the end of my career, which made me feel worse, since I would be sitting on over $300,000 worth of medical school debt. So I did the only thing I could think of doing and made an appointment with a doctor. She was kind, compassionate, and wise. What was happening to me were classic panic attacks. She prescribed an anti-depressant, but more importantly she recommended that I look into mindfulness meditation. I didn’t pursue it then—the medication helped and I soon was able to work my 80 hours a week—but I realized that I had been depressed and anxious for a while. I also suffered from chronic migraines, which I staved off with daily medication, and I had more medicine for when the actual headaches came on. 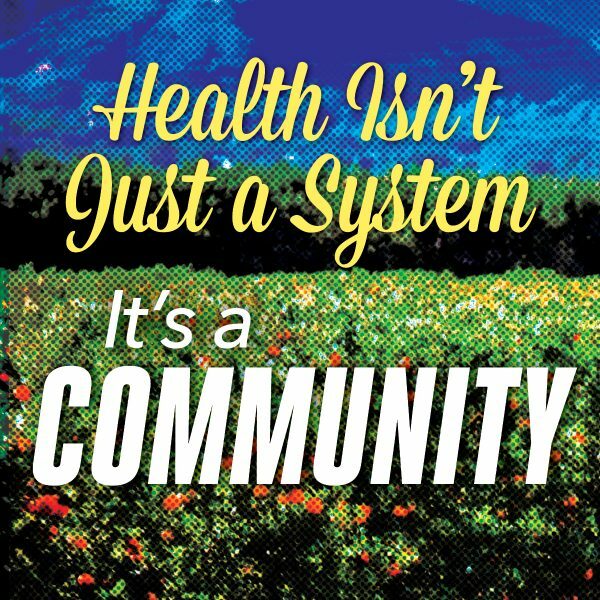 After my residency I took a job at Northern Valley Indian Health, a group of tribal nonprofit clinics providing health care in community clinics located between Sacramento and Redding. My family and I moved to Chico, where two of the clinics are located, and which is also the home of a prominent meditation clinic centered on the same approach I’d heard about from the doctor who had treated me for my anxiety: Mindfulness Based Stress Reduction, or MBSR. I signed up for their eight-week course. Initially, my plan was to pick up a few techniques to use in my work—a large percentage of the ailments we see in family medicine have some roots in depression and anxiety. In the first class the instructor said the benefits of this type of meditation included relief from depression and anxiety, chronic pain, and sleeplessness, as well as a general improvement in well-being and enjoyment of life. This sounded too good to be true, but I was intrigued enough to ask my wife to do it with me. Mindfulness meditation is easy to describe but hard to understand unless you are actually doing it. Jon Kabat-Zinn, of the University of Massachusetts Medical School, created the MBSR program. He defines it as “the awareness that arises through paying attention, on purpose, in the present moment, non-judgmentally.” This made intuitive sense to me, based on my own heritage—traditional American Indian ceremonies are inherently “mindful” or “contemplative.” They emphasize present-moment awareness as well as a timeless connection to all ancestors, a connectedness to all things, and a respect for all things. The prayers in our ceremonies are forms of mindfulness meditation and the dances are moving meditations. For the first couple of weeks of the course we lay on the floor for 30 to 45 minutes simply scanning our bodies with our minds, starting at our left toes and working our way systematically through the rest of our bodies. During this process, you are not thinking about your body, you are actually experiencing it, by focusing on the physical sensations you feel in your body and doing that without liking or disliking, just experiencing. This is what non-judgment is. There are several foundations of mindfulness practice you are constantly trying to practice during this process. They include non-judging, patience, non-striving, acceptance, letting go, trust, and “beginner’s mind,” which means approaching every situation in life as though it is the first time. Our natural, human inclination is to bring our judgments or “baggage” to each moment in our lives. For example, I might see an acquaintance walking towards me down the street, perhaps someone I find annoying, and my mind begins churning, “Oh boy, here we go, I hate dealing with this guy.” With beginner’s mind I would let go of my previous ideas about how this encounter might go and be open to whatever might happen. Chances are we might just say hi and go on about our walks, and all of the worrying was just suffering that was completely unnecessary. … you are not thinking about your body, you are actually experiencing it, by focusing on the physical sensations you feel in your body and doing that without liking or disliking, just experiencing. This is what non-judgment is. We also learned the “stress equation,” which asserts that 90 percent of our suffering does not come from the actual stressor (our bills, our boss) but from the ways in which we react to our stress. This is crucial because it means we have much more control over our suffering than we realize. This is not to minimize those stressors—and not to say we should not fight injustice—but that we can be mentally a lot healthier and happier while we do it. I also found myself experiencing a kind of joy at simply being alive—something that I had not felt in a long time. Around that time my wife and I visited a park we had been to several times before. This time it seemed different—magnificent, actually, like the scene from The Wizard of Oz, when all of a sudden everything goes from black and white to color. It was in that moment that I realized that mindfulness is not just some technique for when you are stressed, but a way of experiencing your life. It improved my experience at work, it improved my relationships with others, and it gave me control over my life. To start sharing this with my patients, I volunteered to lead a breathing meditation at the end of a weekly yoga class offered through our community health department. One day, during the exercise, an elder started crying. She said so much of her energy was spent feeling the pain of the loss of friends and relatives to diabetes, kidney disease, and alcoholism. She talked about her relief at having permission to just be present in this current moment, to experience her life as it was happening. For two years now I’ve offered a free, weekly mindfulness meditation class at the clinic. I was motivated to start the class by a patient whose anxiety was so severe that she had trouble finishing a shift at work or driving down the street in traffic. She was too anxious to even place an anxiety pill in her mouth. She had already been working with a therapist but was still having issues. Her improvement was profound—although she still has anxiety. With a daily meditation practice she’s become much better at navigating the daily stresses of life. At Northern Valley Indian Health, our vision is to see Mindfulness Based Stress Reduction meditation offered in Native American communities across the country and world. When we sit in mindfulness meditation we are feeding the good wolf. Dr. Jean Howell is member of Cherokee Nation and a family physician at Northern Valley Indian Health. He is working on a documentary, Mindfulness in Indian Country. Primary Editor: Sara Catania. Secondary Editor: Lisa Margonelli. *Lead image: Dr. Jean Howell (seated on the floor) leads a mindfulness meditation session with his patients at the Northern Valley Indian Health Clinic in Woodland, California/Courtesy of Inna Dariychuk.